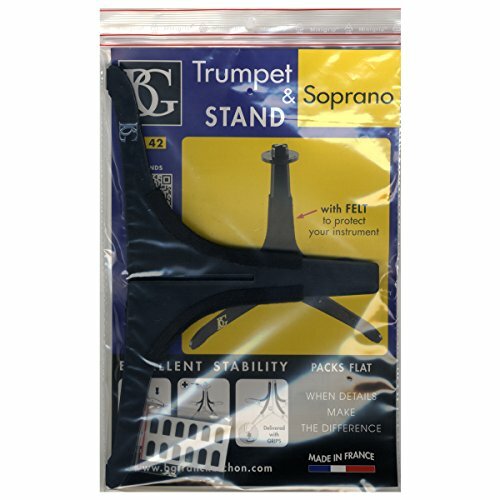 The BG soprano sax / trumpet stand collapses and will easily fit into most cases. With its durable plastic design, these stands are sturdy and attractive. The BG soprano sax / trumpet stand collapses and will easily fit into most cases. With its durable plastic design, these stands are sturdy and attractive. If you have any questions about this product by BG, contact us by completing and submitting the form below. If you are looking for a specif part number, please include it with your message.